Next year's workshop pages can be found at RASLAN 2010. Sojka, Petr - Horák, Aleš. 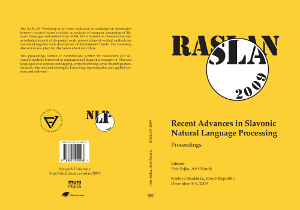 Proceedings of Third Workshop on Recent Advances in Slavonic Natural Languages Processing, RASLAN 2009. 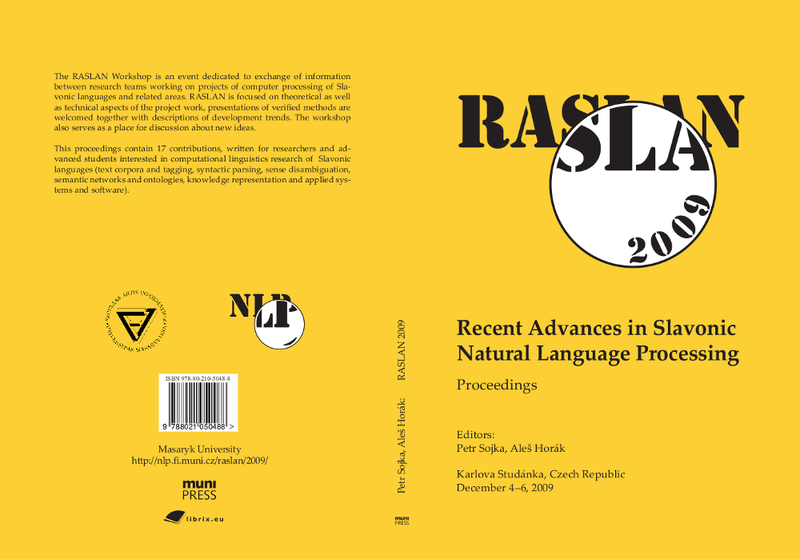 Edited by Sojka P., Horák A. Brno : Masaryk University, 2009. 143 s. ISBN 978-80-210-5048-8.